The Seattle City Council last week passed a “head tax” that requires companies in Seattle making $20 million or more in revenue to pay $275 per year per employee, to fund homeless services. While the jobs created from our region’s booming economy have certainly impacted home prices and cost of living, the root of the problem is not job creation – it’s the city’s failure to supply adequate housing at all levels. A coalition of employers has formed under the name No Tax on Jobs to collect signatures for a referendum to appear on the ballot in November. The petition needs 18,000 verified signatures by June 14 to appear on the ballot and turn the issue over to the voters of Seattle. We are mailing official petitions to every member brokerage in Seattle. Included is a pre-addressed return envelope. 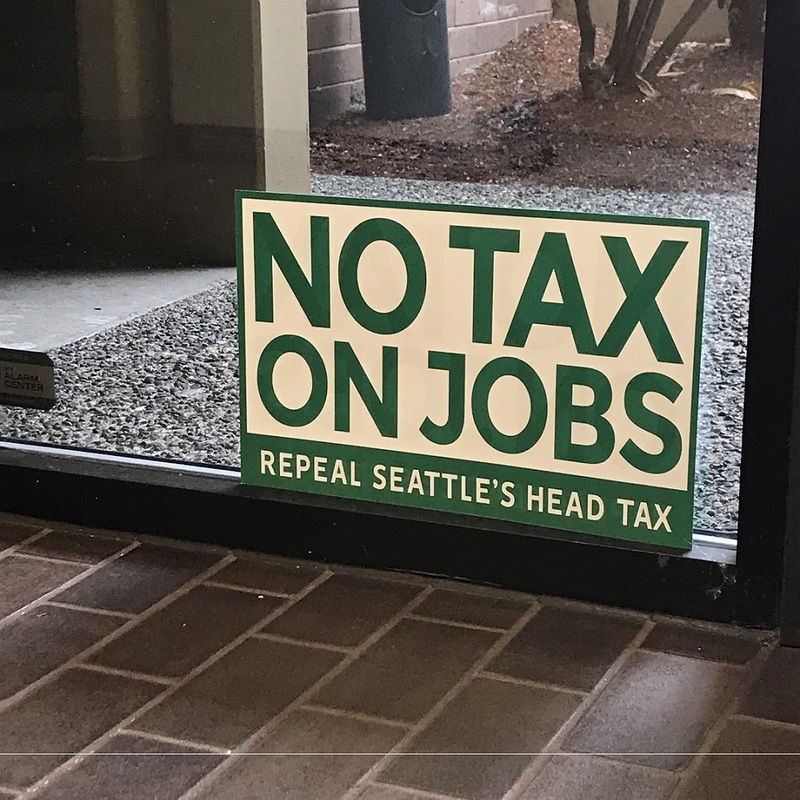 If you do not work in a Seattle office, but are a Seattle voter, we encourage you to sign the petition. Please visit notaxonjobs.com for daily updates on petition-signing locations.